Sometimes those one-on-one appointments at conferences really do pay off. Like with the querying process, though, you often go through several rejections before you find the right one. In fact, it took me seven years and three different manuscripts before I found both an agent and a publisher. My very first manuscript was a contemporary YA. My first published novels were both fantasies. Quite the difference, right? There was a bit of a journey as I discovered who I was as a writer. The contemporary YA really never went beyond my initial critique group where I learned that I l had a lot to learn. My second novel was an adult suspense. I did pitch this one a couple of years to both agents and editors. I got some requests for full manuscripts because they could see that I could write and had an interesting premise, but ultimately the novel did not land any bites. The same with my third novel, a supernatural thriller, which was good enough to garner interest but not good enough to land any contracts. I met with agents and editors alike. One agent even said she liked my stuff but she already had a supernatural author on her list and she didn’t feel like there was enough room in the bigger houses at the time for very many of us and she didn’t want us competing with each other. 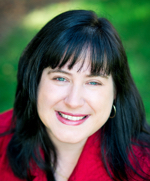 I didn’t originally pitch to my agent, Julie Gwinn. In fact, initially, she kind of intimidated me when it came to the idea of pitching to her. Instead, I pitched to another agent in her agency. While the agent liked my stuff, she did not feel we were a good fit (which was true). But she recommended to Julie that she needed to talk to me. I was in the middle of edits on Armor of Aletheia when I went down to Nashville to assist Julie in setting up an American Christian Fiction Writers (ACFW) chapter for the area. Little did I know, when I showed up early, that she was also wanting to hear about all my stories! A few months later, she signed me as a client. A few months after that we had a plan for pitching Armor of Aletheia and another for building my platform with the Bellanok experiment. I had not planned to pitch to anyone at Realm Makers in 2016. As part of the planning committee, I just kind of decided my time was better spent helping out and serving the community. Plus, I had pitched my supernatural thriller and my fantasy at ACFW and not gotten anywhere. However, Julie convinced me it was okay to take a little bit to pitch to a few people. So I pitched to Deb from Elk Lake Publishing Inc., as well as a few others. Deb really liked my story—finding it unique and fun. Within three months, I had a signed contract. Unfortunately, the story doesn’t really end there. Deb had all these grand designs about publishing the book in six months, but that was not God’s timing. I became seriously ill and would all but cease to function for several months until the doc and I began to get my body under control. Throw in some other outside forces, and I could not have even focused on anything beyond survival mode. As with any storm, eventually the clouds dissipated. Bit by bit, life returned to normal. Well, a new normal anyway. I was able to get back to homeschooling, to writing, to the other stuff that I enjoyed. For Armor of Aletheia, that meant seeing it through a couple of rounds of editing with my assigned editor and a proofread from Deb. That meant working with a cover designer to come up with a concept for the cover. And at long last seeing my newest book baby born. Do y’all have any questions? Leave them in the comments, and I’ll be sure to answer! 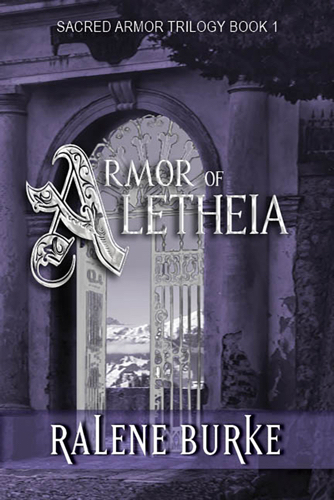 In the meantime, don’t forget to grab your copy of Armor of Aletheia on Amazon! Whether she’s wielding a fantasy writer’s pen, a social media wand, or a freelance editor’s sword, Ralene Burke always has her head in some dreamer’s world. And her goal is to help everyone SHINE BEYOND their circumstances! Her novels Bellanok and Armor of Aletheia are available on Amazon.